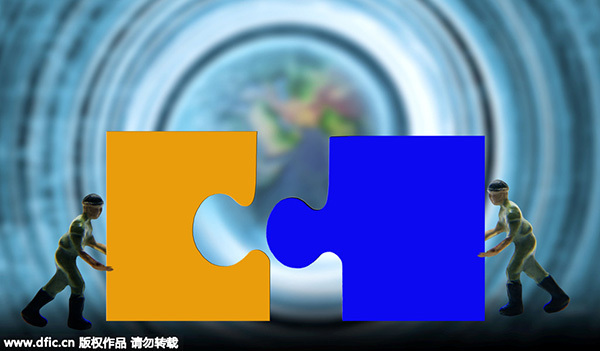 China becomes the world's largest acquirer in terms of the value of merger and acquisition (M&A) deals in the first quarter, according to Xinhua News Agency citing Dealogic, a global financial data provider. The latest Dealogic data show China announced a record high of $92.2 billion of outbound M&A deals in January to March, accounting for 30 percent of the world total. Canada grabbed 20 percent of the global market share, with $6.24 billion of deals announced during the same period, compared with 16 percent of share, or $48.5 billion worth of deals, unveiled by US companies. In February, State-owned conglomerate China National Chemical Corp agreed to pay $43 billion to buy Swiss agricultural group Syngenta in a deal that would be the largest foreign takeover by a Chinese company. In the same month, Beijing Enterprises Group Co, a Stated-owned investment firm, outbid several others to buy German waste management company Energy from Waste for 1.8 billion euros ($2 billion) from private-equity firm EQT Partners, marking the largest deal in the green sector.